The Country associated with this Tjukurrpa (Dreaming) is Mina Mina, a giant salt lake far to the west of Yuendumu. The place is significant to Napangardi/Napanangka women and Japangardi/Japanangka men. All of them are the custodians of the Tjukurrpa that created the area. 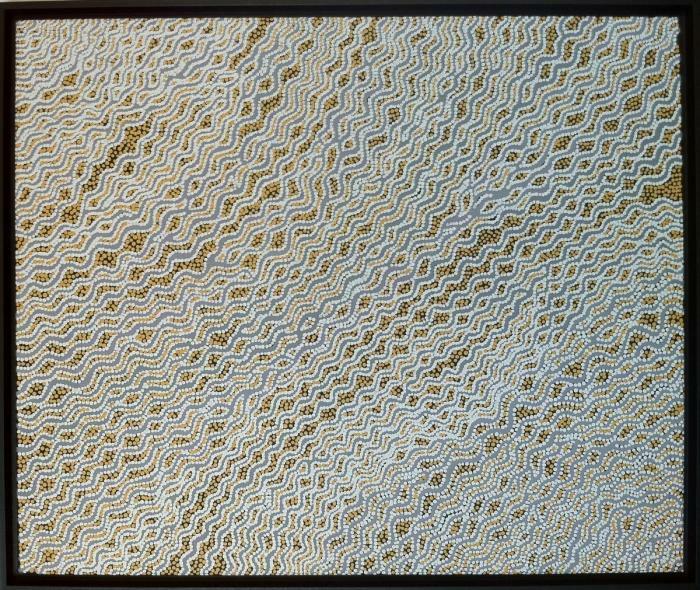 The Tjukurrpa story tells of the journey of a group of women of all ages who travelled to the east in the Dreamtime, gathering food, collecting ‘ngalyipi’ (snake vine, Tinospora Smilacina) and performing rituals and ceremonies as they travelled. The women began their journey at Mina Mina where ‘karlangu’ (digging sticks) emerged from the ground. Taking these implements the women travelled east creating Janyinki and other sites. Their journey took them far to the east beyond the boundaries of Warlpiri country. The ‘ngalyipi’ vine grows up the trunks and limbs of the ‘kurrkara’ (desert oak, Allocasuarina Decaisneana) trees. ‘Ngalyipi’ is a sacred vine to the Warlpiri language group and has many uses. It can be used as a ceremonial wrap, as a strap to carry ‘parrajas’ (wooden bowls) that are laden with bush tucker and as a tourniquet for headaches. 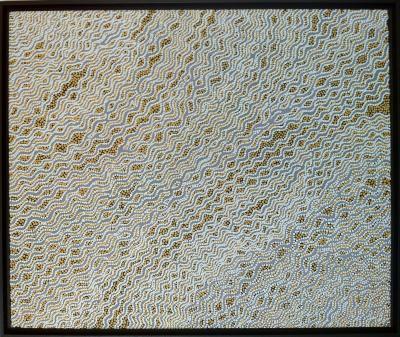 Sabrina Granites Napangardi was born in 1972 in Yuendumu in the Northern Territory of Australia. 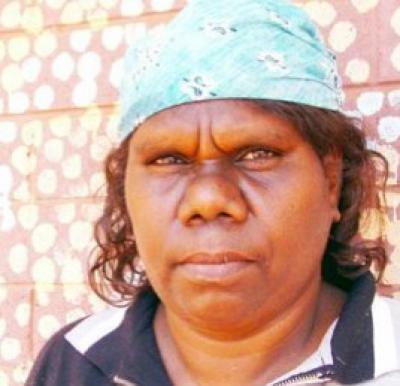 She is the grand-daughter of Paddy Japaljarri Sims and Bessie Nakamarra Sims, two of the founding artists of Warlukurlangu Artists Aboriginal Association, the art centre located in Yuendumu. This is one of the oldest, continually operating art centre in the Central Desert of Australia. Sabri . . .